The 2015-2016 college basketball season is upon us. Last year, the University of Kentucky steamrolled its way through an undefeated regular season, proving to be the clear favorite heading into the March tournament. Their bid for an undefeated season came to a screeching halt against the suffocating defense of Wisconsin. The Badgers, who pulled off an incredible upset over the top ranked team in the country during the Final Four, fell short of their own title aspirations against Duke in the National Championship game. Freshman PG Tyus Jones, named Final Four Most Outstanding Player, finished the game with 19 points in the second half, helping lead Duke to their fifth national championship in the school’s storied history. After posting a 33-3 overall record and dominating the Big East in 2014, the Wildcats look to build on their impressive season from a year ago. Villanova suffered a devastating loss to NC State in the Round of 32 and are aiming to come back with a vengeance. With a feeling of being drastically overlooked as a No. 1 seed in the tournament and a disappointing loss that followed, the team returns with a chip to prove last year was no fluke. The Wildcats are hoping Freshman Jalen Brunson can come in and contribute in a big way, immediately. Accompanying Brunson is Ryan Arcidiacono, returning as the Big East Co-Player of the Year, and versatile big man Daniel Ochefu, who led the Big East in field goal accuracy as well as finishing third in the conference in rebounding. By adding young talent to the experience gained from last year’s tournament exit, the Wildcats should win the Big East again and finish in the neighborhood of another 30-win season. After winning the Big 12 Tournament, Iowa State entered the NCAA tournament as the No. 3 Seed in the South. That was the end of the road for the Cyclones, who suffered a shocking loss to the No. 14 seed UAB, in the first round of last year’s tournament. The Cyclones looked out of sorts in that loss, far different from the same squad that appeared destined for a spot in the Elite Eight or further. Add in the fact that head coach Fred Hoiberg left for an opportunity to coach in the NBA and the result is a slightly lower ranking here at After Overtime than most pundits are offering. Iowa State is loaded with talent. PG Monte Morris, F Georges Niang, and F Jameel McKay return with a new coach in Steve Prohm. If Prohm can instill his fast paced, dynamic offense to this team seamlessly, this ranking will look silly in March. If all goes according to plan, Iowa State will challenge Kansas and Oklahoma for supremacy in the Big 12 and could find themselves in the Final Four. If not, they could be fighting an uphill battle come February and into March. Gonzaga entered the tournament last season as the No. 2 seed in the South. They became a trendy pick to compete for a title after dominating Iowa and beating UCLA. Despite the team’s hot run, the team ultimately fell short to Duke in the Elite Eight. Senior Kyle Wiltjer is coming off an excellent season where he scored 16.2 points per game and secured 6.2 rebounds per game. Wiltjer is widely considered a Player of the Year candidate and leads Sports Illustrated’s preseason All-American team. Coupling Wiltjer with Domantas Sabonis and Przemek Karnowski, Gonzaga will be looking to deploy an enormous lineup with hopes of exploiting size mismatches all over the court. Wiltjer is 6-foot-10, Sabonis is 6-11, and Karnowski is 7-1. Those are some big boys. Gonzaga should win the West Coast Conference handedly and be a trendy pick once again come March. Oklahoma will look to challenge Kansas as the top team in the Big 12. Oklahoma was the East’s No. 3 seed last season in the tournament. They faced the No. 7 seed Michigan State Spartans in the Sweet-16 in what was a heart-breaking four-point loss. 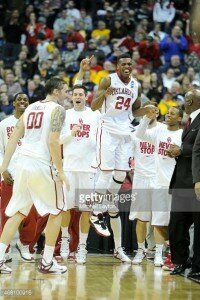 Buddy Hield returns for his senior year with the Sooners in pursuit of a national title. He’s the conference’s best player, displaying an uncanny ability to slash to the rim and score points in bunches, as well as playing tough defense on the other end of the court. The Sooners enter this season with an experienced team hungry for a shot at redemption after their disappointing end a year ago. Oklahoma will have plenty of chances to put their name among the elite teams with games against Kansas, Iowa State, West Virginia, and Butler among others. A team with a strong combination of size, athleticism, experience, and a serious chip on their shoulder; look for Oklahoma to challenge rival Kansas as the best team in the Big 12 and make a statement in the tournament come March. Virginia came off an impressive season last season, having the best conference record in the ACC. Their season ended against Michigan State in the Round of 32. There’s no shame in losing to the Spartans last year, who came one game short of contending for the National Title, but don’t tell that to the Cavaliers. They lost key contributors in Malcolm Brogdon, Evan Nolte, Mike Tobey, and Anthony Gill. Normally that would be a sign that a team is about show a sharp decline. Not so fast. The Cavaliers brought in the highest rated recruiting class in the nation, and these young guns are hungry to prove themselves. They offer a slew of offensive weapons for head coach Tony Bennett to deploy this season. Working against them is having to play in the same conference as Duke and North Carolina. The Cavaliers could be one of the best teams in the country, and still only be the third best team in their own conference. Virginia has set themselves up nicely for the next few years. That does not mean they won’t be a contender this year either. If these young players contribute in the way they’re expected to, watch out. 23-27 wins seems likely. Kansas finished first in Big 12 conference standings a year ago, but lost to No. 2 Iowa State in the Big 12 Tournament. After a second round exit in the NCAA Tournament in 2015, you didn’t expect the Jayhawks to lay down and take it, did you? They are back and ready for action in 2016. Make no mistake about it, they do not plan on letting Iowa State or Oklahoma overtake them as the conference’s best team. They return their three highest scorers from last season in senior F Perry Ellis, junior G Wayne Selden, and junior G Frank Mason. Kansas also found a way to add a five-star recruit from Kayes, Mali, Africa. His name is Cheick Diallo, and he was the No. 7 ranked player on ESPN’s Top 100 recruits. These four, in addition to the rest of the loaded roster Bill Self has manufactured, will make Kansas a tough team to topple atop the Big 12. Expect Ellis and Selden to take another step forward in their development as they lead the Hawks to title contention as the top team in the Big 12. After finishing second in the ACC behind Virginia, the Duke Blue Devils won the NCAA tournament last year in a tightly contested game against the Wisconsin Badgers. As was expected, the top talents from the Blue Devils’ championship run have found homes in the NBA. Three players from the championship roster were selected in the first round of June’s draft. Who can lose a premier big man in Jahlil Okafor, a top point guard in Tyus Jones, and stud small forward Justise Winslow and still be in the conversation for title contention a year later? Oh, right. Mike Krzyzewski. The team with the greatest coach in college basketball and a wealth of talent is never out of the conversation. Duke returns Grayson Allen, Amile Jefferson, and Marshall Plumlee to provide Krzyzewski with stability after losing those great players. Duke isn’t without an influx of talent as well. They added five-star recruits G Derryck Thornton and the No. 3 ranked recruit in SF Brandon Ingram. Ingram is likely another one-and-done player, jumping ship to the NBA after just one collegiate season, but Krzyzewski will enjoy having him while he is there. Expect Duke to be in the title hunt once again come March. The Kentucky Wildcats stormed through their remarkable season unscathed and seemed poised to make history with an undefeated season and an NCAA National Championship. Then Wisconsin happened. After a disappointing end to a near-perfect season, the Wildcats had six players selected in the NBA draft. This is a remarkable number, the most in NBA history, and ties their own record from 2012. Four of these players were selected in the top 14 picks. How does a team lose that much talent and still contend annually? Insert John Calipari. Calipari has an incredible ability to recruit the nation’s top talents and has a way of getting the most out of his players. They welcome back several players from last year’s roster and usher in another ridiculous recruiting class including the 6-foot-10 Skal Labissiere, who ranked as the No. 1 Center in this year’s class, and Isaiah Briscoe, who ranked as the No. 1 Point Guard in this year’s class. Don’t expect Kentucky to take a year off from being one of the nation’s premier teams. They likely won’t go undefeated, but this team has as good a chance as any to win a National Championship this year after a frustrating and disappointing end to their campaign last year. Maryland finished second in the Big 10 last year behind the National Champion runner-up Wisconsin. They exited the tournament early with a loss to West Virginia in the second round, but they’re not a team to shake your head at. It was a valuable learning experience for a young team and should only serve to bolster their chances this season. 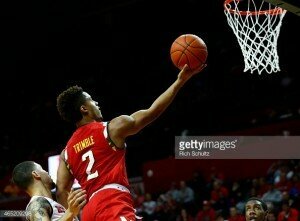 Led by stud sophomore PG Melo Trimble, the Terrapins have aspirations for their first National Championship since 2002. Trimble has the potential to become one of the greatest players in the country in only his sophomore year. He and senior F Jake Layman make for a strong 1-2 punch that will prove dominant together. They work off each other, spreading the floor and opening up the game to make one another better. With Kaminski gone from Wisconsin and the Badgers taking a step back, the Big 10 is Maryland’s for the taking. Once that is done, the Terrapins will set their sights on bringing a title back to Maryland for the first time in fourteen years. Injuries plagued a hopeful season last year for the Tarheels. They finished fifth in the ACC standings and lost to Wisconsin in the Sweet Sixteen. They never really had the look of a team poised to make a run at a title. This is the year it should all come together for the Tar Heels. Despite being riddled with injuries, star senior guard Marcus Paige played well enough to keep the Tarheels afloat. He averaged 14.1 points per game and 4.5 assists per game playing through injury. If he can stay healthy, this North Carolina team can be a force. Head coach Roy Williams will look to lead this experienced group to a national title. They’ve got the pieces to make a run. A stud guard, a well-rounded supporting cast, and an excellent coach. Overcoming the injury bug will be the first major step in this process. Their toughest challengers may come from within the conference in the likes of Iowa State and Duke. If the Tarheels can stay healthy, this team will win the ACC and has the makings of a national title winner.